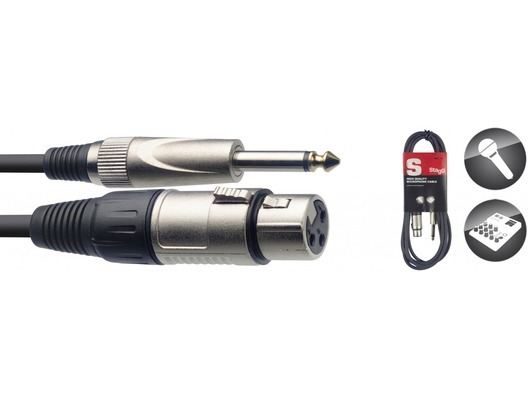 The Stagg SMC6XP Essential Cable is a 6 metre/20 foot Mono jack male to female XLR microphone lead. Stagg Cables are renowned for producing durable and robust cables and this cable is no different. This cable is perfect for connecting microphones with XLR connections to any equipment that have mono jack inputs rather than XLR inputs.